I guess this vegetable dish needs no introduction as I'm sure everyone knows how to cook it! Let's see how I prepared it, the simplest way of mine! In a pan, heat olive oil and saute garlic for 2 seconds, followed by shallots and chillies. Stir until fragrant. Add spinach, oyster sauce and salt. Mix and cook for few minutes. Dish out! * For variation, you may add fried anchovies / dried shrimps to this dish. eh. same resepi my mom taught me. yummeh! Awesome stir fry, would love with a bowl of rice. healthy and nutritious stir fry...my all time favorite! hi Love.tq wish belated bday utk Syakirah. HEY LOVE,MY FIRST TIME HERE IN UR PAGE.. I HAD A DARN GOOD RIDE INSIDE KNOWING U AND UR BEAUTIFUL FAMILY PLUS UR MOUTHWATERING RECEIPES!!! WILL DEF TRY UR RECEIPES AND WILL LET U KNOE THE OUTCOME! WISHING U BLESSED HAPPY LIFE ALWAYS AND HOPE TO HEAR FROM U MORE! I love spinach and garlic together, tastes so good. Your recipe sounds delicious! Thanks for sharing. We love spinach! Lovely plate of veggie, I could just eat this one dish with rice! simple yet tasty- looks well done. hope u r fine ! Healthy and simple, this dish looks so rich :). Loved the header, looking nice and cute :). Sometimes the simplest dishes are the best. 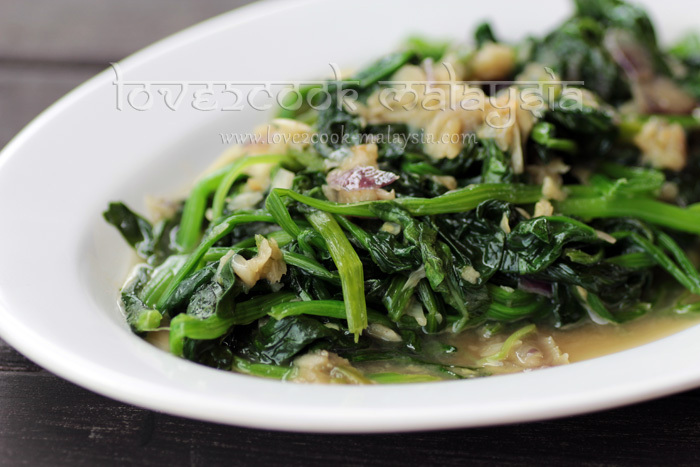 I love this spinach dish. simple yet tasty n healthy!!!!!!!!!!!!!!! Beaucoup de saveurs dans ta cuisine. J'aime beaucoup. Hi Love. Ritchie look more grown up than my last visit! Slurrrrp, nice veg! APETITOSA Y MUY SALUDABLE EXCELENTE COMBINACIÓN,HUGS,HUGS. 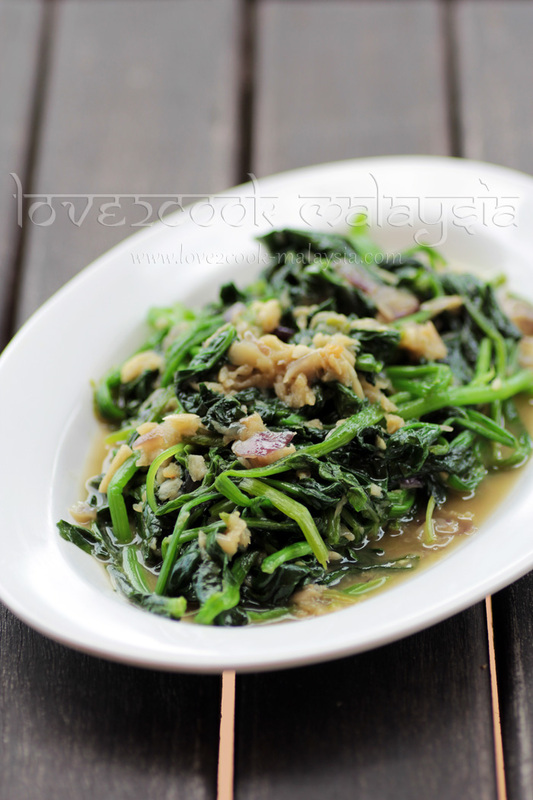 Hi love, wah spinach fried ingarlic..normally akak suka goreng macam ni to be eaten with nasi lemak..
but mine just minced garlic saute then add in spinach, salt & msg dah...sodap ..
That is going to bring smile to any one’s face. Thank you. " http://recipeforgoodhealth1.blogspot.com/2014/05/stir-fry-garlic-spinach.html "